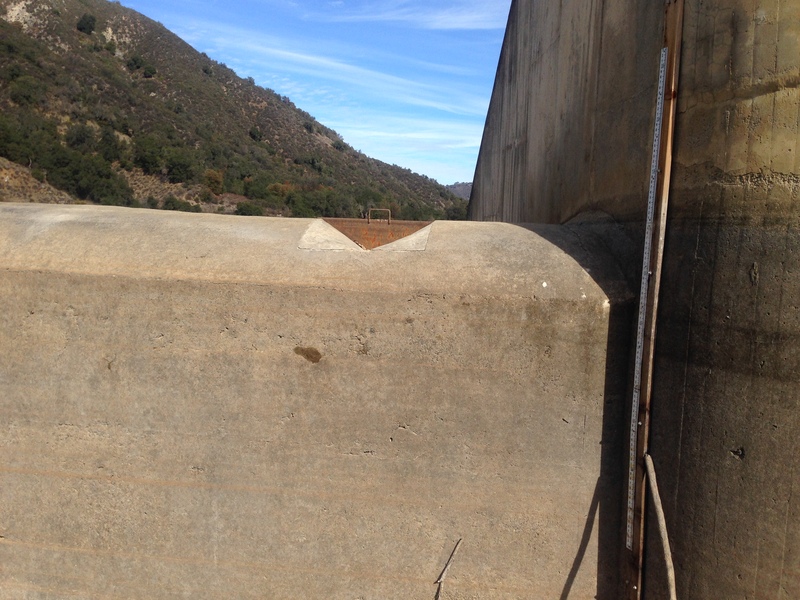 Shortly after CRSA was successful in extending the spillway at Los Padres Dam we began advocating for cutting a notch in the top lip of the dam. The problem was that when water was low fish would pass over the whole width of the dam and because the water was not concentrated, the shallow water would cause the fish to tumble unnecessarily down the spillway. When water was very low fish could not even get over the lip and were stranded in Los Padres Reservoir for the year. 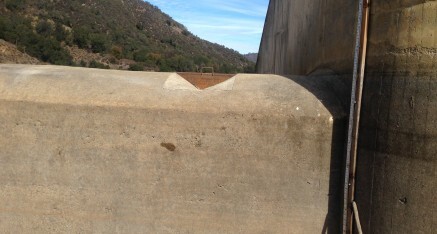 CRSA felt that if a notch were cut on the east side of the spillway it would provide a deeper exit over the lip to allow late fish to exit and deeper water to prevent tumbling down the concrete. CRSA was able to talk the California Department of Fish and Game into cutting the notch which CRSA believes helped. There was opposition to the notch due to the concern that cutting a six-inch notch would lower the level of Los Padres Dam by six inches. CRSA felt that the water leaving the reservoir via the six-inch notch was no different than what was released by piping and that the exit through the pipe could be shut off until the water level was below the notch. Later, when CRSA tried to get the notch deepened, it was instead filled in either from miscommunication or by design. With the notch open for such a short period of time there was never a test to determine if it saved the lives of fish, but logic says it did. CRSA continued to advocate for the notch until 2008 when serious talks began to provide state-of-the-art downstream passage for steelhead.